Brussels Sprouts are a close cousin of cabbage and even look like mini cabbages so why not make them into a slaw? For this recipe, we chose to steam the brussels sprouts before combining them with the apple and carrots. However, you can make this recipe with raw brussels sprouts if you prefer the crunch in your slaw. 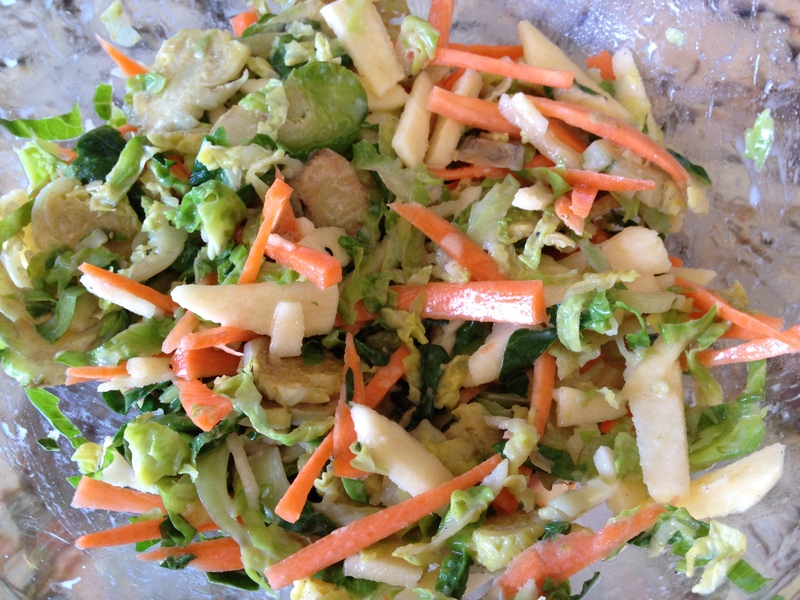 In medium bowl, combine brussels sprouts, carrots, apple. Set aside. In small bowl, whisk together yogurt, vinegar, honey, lemon juice, Dijon mustard, salt and pepper. Add dressing to vegetable and apple mixture and combine well. Store in refrigerator for at least 2 hours. Serve cold as side dish.